So you have an idea, and you're in the process of convincing one or more people to co-found your company with you, now what? The next step is for you to do a much deeper evaluation of the market than you have probably done thus far in order to determine whether you should proceed. 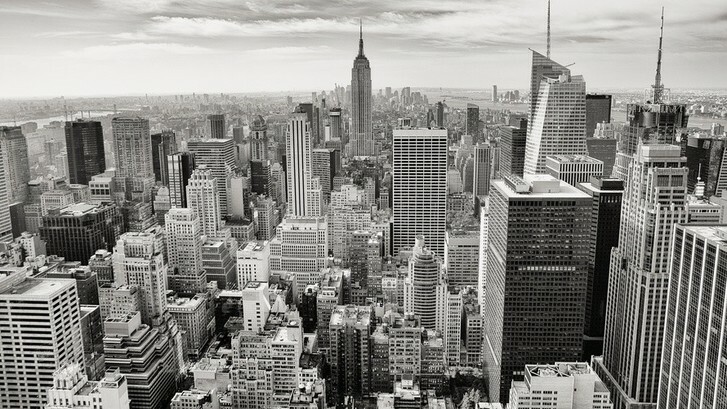 Is the market size big enough? Are there sufficient margins available? Are there any show-stopping regulatory or legal issues? Is now the right time to launch? Evaluating market size for startups is an art form. The principle is to identify how many dollars are being spent by your potential customers per year on the solutions that you plan to provide. Total Addressable (or Available) Market (TAM) — the combined annual revenue of all the players in the space (this is called a “top-down” way of calculating it), or the biggest number you can convince investors to believe based on the projected annual value of a customer multiplied by all the active customers in your market (“bottom-up”). Pro-tip: investors prefer bottom-up calculations in most cases. 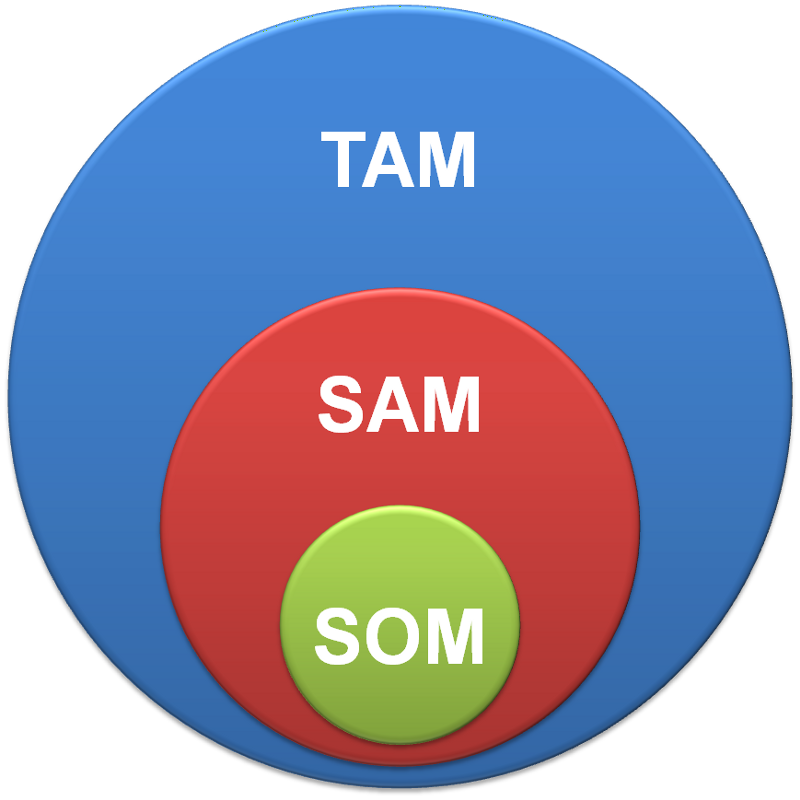 Serviceable (or Served) Available Market (SAM)— the subset of TAM relevant to your specific products, within your geographical and/or technological reach. Serviceable Obtainable Market (or Share of Market) (SOM) — the subset of SAM that you can convince investors will be your first year of income. This is the market share you will actually obtain. So for example, let's say you're selling a riding lawnmower. The TAM for lawnmowers in the USA is $100 million (I made that up). $20M of this is for riding lawnmowers (also made up), but since you're only launching in areas that have 10% of the market population, your TAM is $2M. Your SOM is then the fraction of that $2M that you'll realistically be able to obtain in your first year (e.g. $150k, or whatever). The art form comes in when data isn't readily available. A great Quora thread on this topic is: How can a startup company best evaluate market size and find the market data? Essentially, you can get an idea of the number of customers out there through industry reports and various software tools to build a compelling “bottom-up” case for your analysis. Overall, what you end up calculating for your TAM, SAM, and SOM should be big enough to convince yourself (and future investors) to proceed. Generally speaking, investors like to see TAMs in the billions, SAMs in the millions, and SOMs in the hundreds of thousands. If your business model has deferred revenue (e.g. a B2C play relying on advertising or whatnot), then the real art form comes in your forecasted financial statements, which I'll discuss in more depth in a future post. This Jeff Bezos quote, which I saw again recently when reading Chris DeVore's relevant post Surplus > Volume, summarizes a critical nuance when evaluating market opportunity. In other words, just because your TAM & SAM may be large doesn't mean there is enough margin floating around for your business to be sufficiently profitable. Sure, you might be able to build a better widget, cooler software, or more attractive coffee shop, but if your competition is scraping by, it should give you pause (it certainly will deter investors). Instead, look for markets with little competition (of course); if there are other players, look for ones with decent profits. Those markets are likely harder to get into, but that barrier means you'll face less competition. Compose a spreadsheet of your competitors and make a best guess of their annual revenue, number of employees, investment rounds (often published), price points, strategic approach, and other data relevant to your market. What are they doing well? Where is there opportunity to improve? Setup a Google search alert for specific phrases you should pay attention to, and scan sites like Product Hunt and Angel List to ensure you aren't missing newer teams that should be on your list. Some startup founders go so far as to creating custom social media feeds of all the competition to watch, but in general I think that's a bad idea. It's better to focus on building your company after you've done some initial research to determine if there's enough space for you in the market. The more you get into “marathon” mindset vs. “sprint”, the better. It's never fun to get cease and desist letters for unknowingly breaking the law (especially from patent trolls), and/or realizing you have to pay an unexpected tax. Make sure to look up all the laws of the land to ensure you are abiding by city, state, and federal regulations and financial obligations, and do a deep Google and USPTO search to be aware of patents. I'll talk more about the spectrum of legal issues to consider in a future post (subscribe to my newsletter for updates), but for the purpose of evaluating your market for show-stoppers, these are important places to initially look. Imagine trying to start Google before the Internet was widely adopted, Uber before smart phones were invented, or Candy Crush before your mom was on Facebook. You get the idea. Just because you can dream up a large TAM, SAM, and SOM, doesn't mean it's actually the right time to launch. How has your market evolved? Why is it evolving that way? What recent trends and/or developments are evidence that this is the right time to strike? The “why now?” question is a favorite of investors, especially because they think about (and rely on) market trends a lot more than you do. Therefore, because it ultimately affects your bottom line, it should be an important question to ask yourself before you invest more effort into your own startup. Author's note: this post is part of a series of articles outlining an operational framework for building and launching a web product, and originally appeared on my personal site here. Also, as a reminder, feel free to subscribe to my newsletter and I'll let you know when I publish new content. Thanks!